On September 3, 2018, Carrefour announced a new global program with nine actionable steps to encourage better eating habits for its customers through marketing and education. By improving food quality, the company seeks to bolster its supply chain transparency and to transition suppliers to organic farming. The fast-moving consumer group (FMCG) retailer aims to be a leader in “food transition.” Food transition means broadly shifting the quality of diet and nutrition. Carrefour’s new plans are particularly important to the beef market in Brazil and will likely build on previous initiatives in the country. Along with palm oil, soy, and timber, the Brazilian beef market exposes the company to material deforestation risks. Carrefour sells 24,000 tons of unprocessed beef per year in Brazil, and the company is the largest retailer in Brazil, making up 26.5 percent of the country’s retail market in 2017. Chain Reaction Research’s report published September 6, 2018 shows how cattle-driven deforestation is a major risk to retailers in Brazil, including Carrefour. It has set up a monitoring system aimed to increase transparency to keep farms from producing meat in areas where deforestation is occurring. Last year, Carrefour began implementing satellite surveillance of land being used for livestock. With its certification programs, Carrefour has put together its own certified brand product line and partnered with the JD Group and the Marfrig Group. These steps are to ensure that “from farm to fork” its beef is meeting international environmental and social standards. The company is also part of a number of working groups whose goals are to decrease the risks of deforestation connected to the Brazilian cattle sector. However, its Brazil policy does not apply to beef products that are prepared or are in processed foods. As a result, only about half of Carrefour’s beef distribution in Brazil falls under its zero-deforestation policy. The company said earlier this year, as reported June 6, 2018 by Chain Reaction Research, that it would invest USD 1.5 million for the sourcing of sustainable beef and the Mato Grosso initiative. This program involves ranchers and farmers working with corporate procurement officers. Carrefour is also a signatory of the Cerrado Manifesto. The Cerrado Manifesto calls for the private sector to commit to limiting deforestation in the region. The Brazilian market made up about 15 percent of the company’s sales during the first half of 2018. Global sales for the company rose by 0.7 percent on a “like-for-like” basis for the first half of 2018. But the company’s overall performance has been partially weighed down by slower growth in Brazil, and this year’s earnings will be impacted by the depreciation of the real, the company warned in April after announcing its first-quarter results. While the food initiatives are geared toward improving sustainability, they are also intended to help the company adapt to changing demands from consumers, increase its sales, and bolster its reputation. 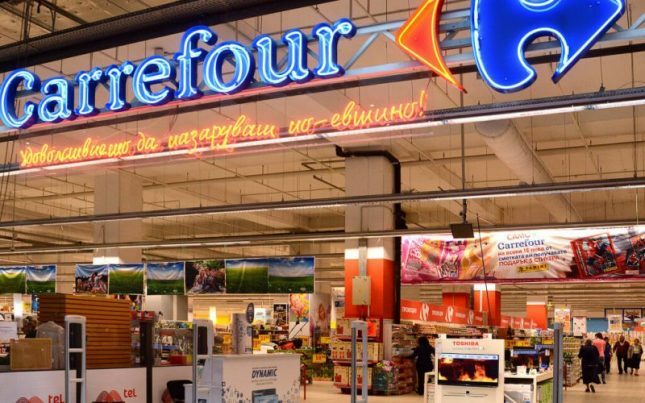 Carrefour’s growing commitment to curbing deforestation comes at a time others in the FMCG industry are taking similar actions. Nestlé, for instance, announced on September 14 that it plans to monitor its entire palm oil supply chain to reach its zero-net deforestation goal by 2020. Meanwhile, Unilever and Walmart also made new commitments, with both on September 13 announcing new projects aimed at forest sustainability at the Global Climate Action Summit in California.